Unbeatable visibility, patented scanning technology, simple operation. 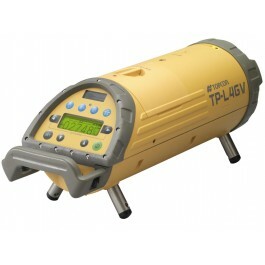 Once you see it, the TP-L4GV will be the only pipe laser you’ll use. World’s Only 3-way beam for fast, accurate setups. Topcon’s innovative Green Beam® technology gives you the advantage of a beam that’s four times brighter than conventional beams. That means you never lose track of it – even in direct sunlight! With the TP-L4GV Green Beam® setups are faster and easier than ever before.